This comprehensive and definitive work succeeds and expands on the highly successful HLA and Disease published in 1994. This new edition has been updated, redesigned and reorganised into three sections making it an invaluable reference. The introductory section summarises current knowledge on the structure, function, genetics and evolution of the HLA system. It clarifies its complex and ever changing nomenclature and discusses the mechanisms underlying disease associations with HLA alleles. The second section deals with the importance of HLA in the context of different clinical specialities. Individual chapters describe the association between HLA polymorphism and each disease. The final section features chapters on current laboratory practice in histocompatibility and tissue typing. 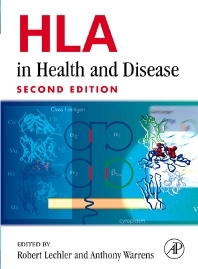 HLA in Health and Disease is essential reading for basic and clinical researchers working in immunology and immunogenetics, transplantation medicine and autoimmunity. It will also be of interest to anyone in the fields of rheumatology, diabetology, nephrology, allergy, dermatology, neurology, endocrinology, cancer biology, respiratory medicine, haematology, molecular biology and biochemistry. P. Travers, Structure of Class I and II Molecules. C.M. Milner, R.D. Campbell and J. Trowsdale, Molecular Genetics of the Human MHC. R.J. Baker and A.N. Warrens, The Biology of MHC Molecules. C. AuPeh, A.W. Purcell, and J. McCluskey, The Function of MHC Molecules: Antigen Presentation. T.J. Vyse and B. Morley, The Analysis of Genetic Susceptibility. A. Warrens and R. Lechler, Mechanisms of HLA and Disease Associations. G.T. Nepom, HLA-Associations with Rheumatoid Arthritis. P. Bowness, HLA and the Spondylarthopathies. R. Phelps and A. Rees, The HLA Complex in Renal Disease. J. Hillert and A. Fogdell-Hahn, HLA Associations in Neurological Diseases. G.T. Nepom, Type 1 Diabetes (IDDM). L.M. Sollid, A. Spurkland, and E. Thorsby, HLA Associations in Gastrointestinal Diseases. J.S. Pulido and J.W. Steilein, HLA and the Eye. P.A. Glynne and N.M. Price, HLA and Infectious Diseases. M.C. Pickering, M. Perraudeau, and M. Walport, The Systemic Vasculitides, Systemic Lupus Erythematosus, and Sjögren's Syndrome. A. Friedman, Association of the HLA System with Dermatological Diseases. R. Baker and G. Opelz, HLA and Transplantation: Alloimmune Response and the Role of HLA Matching in Clinical Transplantation. P. Wright, V. Nimgaonkar, R. Ganguli, and R. Murray, Psychiatric Disease. J.J. van Rood, The History of the Discovery of HLA. P. Dyer, S. Martin, and R. Stanford, Serological Methods in HLA Typing. P. Mason and R. Lechler, Cellular Methods in Testing Histocompatibility. H. Erlich, PCR-Based Methods in HLA Typing. J. Bodmer, W.F. Bodmer, and S. Marsh, HLA Nomenclature: The Name of the Rose. R. Bontrop and J. Kaufman, Evolution of HLA Polymorphisms. Imperial College School of Medicine, Hammersmith Hospital, London, U.K.